Retail | Merchant Services Inc.
Do you own a retail business? Is the majority of your business face to face with your customers? MSI Canada has the best credit card processing solution for your business with the lowest guaranteed rates. At MSI Canada, we specialize in helping retail merchants grow their businesses by offering a variety of services and equipment specialized for your needs. We help our merchants gain new customers by expanding their payment options and keep the cost of doing so as low as possible. Do you offer recurring billing options to your customers? Bill your customers on a daily, weekly, or monthy basis for the amount you set forth by using SafePay, MSI Canada’s proprietary eCommerce solution. From tanning salons to golf courses, SafePay enhances your membership billing process and helps you run your business easily. MSI Canada is a leading authorized processor for all major credit card brands including Visa, MasterCard, American Express, Discover, Diners Club and JCB. 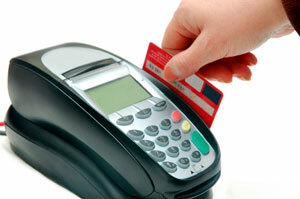 Debit card processing is the fastest growing and most inexpensive type of payment. MSI Canada is an industry leader in debit card processing including Interac Debit. Process with PINpad and PIN capture and save money on your debit transactions.